Alexander Mahoney and Toby Feldman from Biz Latin Hub Mexico were welcomed to Mexico Business Publishing’s office to speak with Energy expert Esteban Pagés. Mexico Business Publishing was formed in 2011 to provide impartial, specialist analysis of the key sectors in the Mexican economy. Mexico’s Energy Model is based on the December 2013 Energy Reform. Biz Latin Hub (BLH): What do you consider to be Mexico’s role in the global market for innovation within the energy sector? 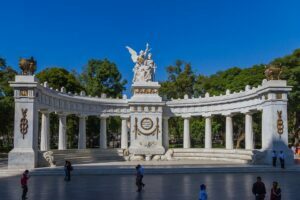 Do you consider Mexico to be a leading player in driving sustainable change or do you think that Mexico has a lot of improvement to be made? Mexico’s role in the energy sector on a global scale is actually quite relevant, in the sense that it has committed to the Paris Accords and other international treaties that relate to renewable energy and efficiency goals. Esteban Pagés: Mexico’s role in the energy sector on a global scale is actually quite relevant, in the sense that it has committed to the Paris Accords and other international treaties that relate to renewable energy and efficiency goals. As a direct result of this, its late entry compared to other markets allowed it to craft an energy model, rooting the reform (2013), that is based on the best practices and best experiences in more mature markets such as Western Europe and the US, and so this model answers to Mexico’s own necessities on the one hand, and on the other is on par with global standard practices. The best reference for this shift would be the long-term electricity auctions that have unfolded since 2015. Up until now, we have had 3 different editions. At each edition we have seen a decrease in the package prices of the MWh and Clean Energy Certificates which attests to Mexico’s readiness to develop affordable utility-scale renewable energy projects, but with a business savvy element to it. BLH: What warnings do you think all new companies looking to enter the Mexican market should be made aware of? Esteban Pagés: I would say that they should be made aware of the regulatory framework in terms of compliance because there is a considerable contingent of new rules and regulations in terms of doing business in the renewable energy sector, there is also the subject of social and environmental impact assessments relevant to developing greenfield projects. They must also be aware of the financial sources that are made available, be it from commercial banks or equity funds or development banking for them to secure the required financing for their projects. Those would be my main 2 points of recommendation: get in tune with the regulatory framework so that they can operate seamlessly and look at financing options to execute and design successful projects. BLH: Could you give us an example of a successful foreign company that has broken into the Mexican market? Esteban Pagés: The success stories of Mexico’s new Energy Model are the long-term electricity auction participants that were awarded projects, especially in the third long-term electricity auction, the most competitive one to date. A particular company that comes to mind is Cubico Sustainable Investments. 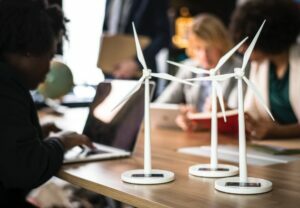 Created in 2015, this investment firm specializes only in developing renewable energy projects, as mandated by their 50-50 shareholders, Ontario Teachers’ Pension Plan, and PSP Investments. Despite their newcomer status, they were awarded two PPA contracts. One for the 250MW El Mezquite wind farm and another one for a 350MW PV plant, Solem Solar. This is impressive given that the nature of the auctions is becoming increasingly competitive in terms of aggressive pricing. BLH: As a company, you are most famous for your annual reports on the key sectors in Mexico, including the energy and oil & gas sectors. This in-depth research that you conduct year on year means you have a very panoramic vision of the Mexican economy. Where do you see the short-term future of this country’s energy sector? The success stories of Mexico’s new Energy Model are the long-term electricity auction participants that were awarded projects. Esteban Pagés: So we are talking in the short term… what should be highlighted is the capacity of the country to implement and execute a new energy model in such a short period of time. We have a new energy market that has been developed in 4 years which is quite impressive, and that has also become a platform for new technologies to showcase their abilities because we have had the entry of new players, very technologically versed, that are trying to develop projects in Mexico, and that want to demonstrate the capacity of their technologies. For example, we have companies that want to use bifacial solar modules in utility-scale PV projects… we have companies like Siemens that are working with CFE to develop a smart grid with all these data-mining and IOT and digitalization trends… Of course, there is a contingent of critics that are saying the market is not moving fast enough, but as you all know, Rome wasn’t built in a day either… it needs time to mature! The next developments we can look forward to are in the transmission and distribution segments, because in the years following the reform, the focus has been on clean energy generation but you can have all the additional generation capacity that you want, but if you do not have a sturdy enough or extensive enough grid you will not be able to absorb and distribute all of this extra capacity to the key consumption points. I think that moving forward we will see more work in transmission and distribution, more investments towards that particular niche. For example in Baja California, they are already implementing energy storage solutions for the projects since the grid is not interconnected to the rest of the electricity system, they must rely on new solutions to ensure that the projects are bankable and able to distribute this energy. Looking forward to the future… injecting maturity into the wholesale electricity market, the energy trading niches and transposing the benefits of the wholesale electricity market in terms of a diversified pool of players to the retail sale of the market. You will notice that there aren’t many buildings or residential homes that have solar panels or the ability to create their own energy- from a long-term perspective that is what we should be looking to improve. BLH: You mentioned that one of the long-term goals for Mexico is to integrate small-scale energy production mechanisms such as solar panels on houses, I have done a little bit of research on distributed energy production systems… more localized wind turbines for example. Are there any companies that are trying to crack that niche? Companies that are trying to break into that more personalized energy market? Esteban Pagés: Yes, actually, there is a whole chapter on distributed generation in our book (Mexico Energy Review-2018). It is a very vast niche of opportunity considering Mexico’s industrial and commercial sectors that are looking to have a more efficient or cost-effective energy consumption because in some cases this can result in 30-40% of a company’s expenses! Imagine what could be done by these companies if this 30-40% was saved and the money could be used for more productive purposes. We have companies such as Top Energy that are now focusing on distributed energy in the commercial sector… residential at the moment is a very tough niche to crack as it requires a certain amount of manpower to go door to door in order to convince and educate residential users of the benefits of solar power and because the returns on investment are not quite there yet when you take in to account the cost of the PV system. For an industrial or commercial player, it makes a lot more sense as their electricity tariffs are a lot higher …. The numbers are quite encouraging. According to CRE’ estimations, in 2017 we had around 40,109 interconnection contracts for distributed generation and by 2022 we are expecting 479,054 contracts, so it is a 10 fold increase. 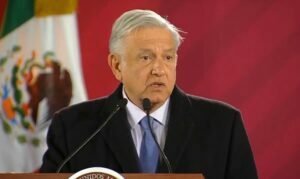 BLH: What effect do you think the inauguration of AMLO will have on the short and long-term prosperity of young startups in the Mexican Energy economy? President-elect Lopez Obrador is looking at repowering hydroelectric plants and he is looking at thermoelectric power. Esteban Pagés: It is a little bit hard to say at the moment as the discourse of president-elect Lopez Obrador has been more focused on the oil and gas sector. For example, he has spoken about re-centralising PEMEX and about refining activities and relying less on United States imports of natural gas. However, there have been some mentions of renewable energy. For example, he is looking at repowering hydroelectric plants and he is looking at thermoelectric power. Abel Hibert, Lead Advisor in Economic issues of President-elect’s transition team, also confirmed the continuity of Mexico’s long-term electricity auctions throughout López Obrador’s administration. Right now CFE’s thermoelectric plants are undergoing a gasification process where they will use less fuel oil and start using natural gas but with the refining issue, there are some experts such as Ruben Cruz, the energy lead from KPMG, who is concerned about the fact that refining is going to use greater amounts of fuel oil that CFE is going to have to absorb to the detriment of natural gas. In terms of more changes to natural energy options, I do not foresee too many changes. In Mexico, renewable energy is not a partisan issue and it is seen positively across the political spectrum, so I do expect renewable energy to continue its growth. This is important as renewable energy has a clear social component. If you look at solar energy, in the places where CFEs infrastructure hasn’t developed a reach, for example, small communities that are far away from urban centers and do not have electricity could rely on off-grid PV systems to provide energy to them. Considering the new administration has a very socially-embedded component, I think that renewable energy is available to contribute to this agenda of AMLO. BLH: Given the important role of oil and gas in the Mexican economy, do you not think that there is a conflict of interests in trying to increase the role of renewable energy sources in Mexico? Esteban Pagés: No, not really. The biggest issue with renewable energy is the intermittency part, that is to say, that you need diversified energy means to produce it. Despite the various benefits of renewable energy, it remains intermittent. While energy storage solutions become more affordable and more mainstream, because even from a regulatory standpoint, perhaps with the exception of Baja California, we do not yet have a national framework to include energy storage in power generation plants at utility scale for renewables. For this reason, I think that any other complementary solution is welcomed and natural gas-fueled cogeneration fits a good profile for that as it provides a stable base load to the grid to compensate for the intermittency of renewable energy. BLH: And the sustainable component, is that something that is very present in the oil and gas sector? Esteban Pagés: If you look at global IOCs there an increasing number of players that are investing in renewable energy, in offshore wind farm projects for example, and there is also a particular focus on carbon capture procedures. I think that we are going to see that increasingly more in Mexico, as at the end of the day, Mexico is a reflection of what is happening in the global market as all the most relevant global players are present here. You also need to take into account the role of ASEA, that was created to ensure the safety and environmental aspects of oil and gas. There is much being done to make sure Mexico is on par with global standards in terms of safety and security. BLH: On the security side, has Mexico seen any innovation that has been led by security concerns? I am just thinking of pipeline thefts, it is causing huge problems such as explosions and clashes with the police. I wanted to know if there have been any positive outcomes from this in terms of innovation? Esteban Pagés: Yes, I think so. If you look at what CENAGAS is doing as the administrator of the pipelines in Mexico, there has been a lot of investment in precisely what you are saying, in technologies that monitor and transport hydrocarbons and natural gas in the pipelines. There are also many private companies that want to cooperate with PEMEX to deal with those issues. If you inject technology into the distribution, transportation, and delivery of hydrocarbons, you can have basically a dashboard of the performance of the pipeline and you can know in real time how the pipeline is responding. This means you can promptly react to the evidence of illegal siphoning that may take place. There have also been positive changes thanks to the new regulatory framework surrounding Social Impact Assessments. It has changed the way in which corporations approach local communities when developing their projects. They must now adhere to the IFC standards and with the Equator Principles. It has meant that they must develop shared benefits. These are projects to function on the long term, we are talking 15-20 years, and to do that you must elaborate positive relationships with the community with shared benefits so that the community can participate, feel integrated and represented by the project. BLH: and finally, are you positive for the long-term future of Mexico in terms of sustainability? Esteban Pagés: Yes, I am and it is not just my personal conviction. It is the sense we get when we interview all the influential decision makers for our publications. So far, I have not seen doubts, or fears or concerns. The industry is very committed. The new government is very aware of the challenges we are going to face and they are very willing to cooperate with private figures in the industry to come to fair compromises. The Mexican energy market continues going from strength-to-strength, creating various commercial opportunities for foreign business with skills, experience, and knowledge in the energy sector. Private business who specialize in technology relating to the distribution, transportation, and delivery of hydrocarbons are presented with exciting opportunities to collaborate with PEMEX and obtain profitable commercial contracts. If you would like personalized support on how to enter the Mexican marketplace, please reach out to Biz Latin Hub. Our team is specialized in assisting foreign business to successfully expand their operations abroad.